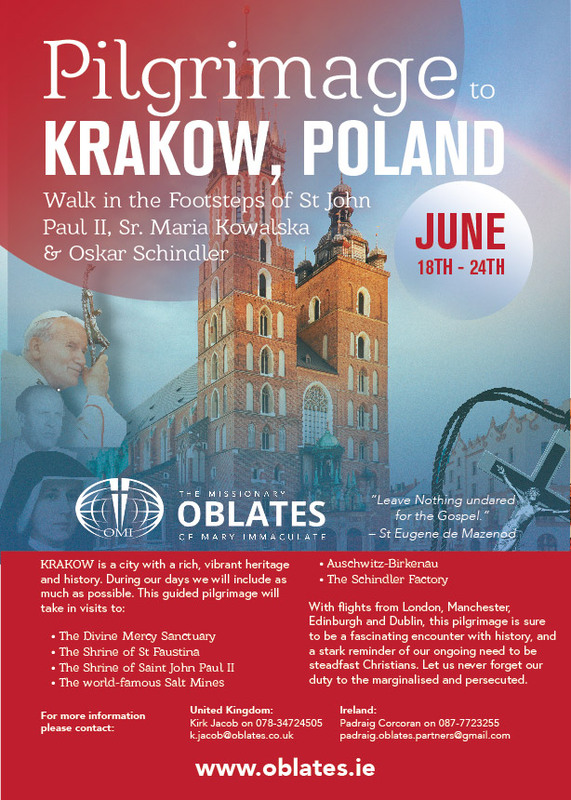 Walk in the footsteps of St John Paul II, St Maria Faustina Kowalska, and Oskar Schindler. Krakow is a city with a rich, vibrant heritage and history. During our days we will include as much as possible. With flights from London and Dublin, this pilgrimage is sure to be a fascinating encounter with history, and a stark reminder of our ongoing need to be steadfast Christians. Let us never forget our duty to the marginalised and persecuted. Download the Krakow A4 poster. Download the Krakow A5 Leaflet.